After logging in for the first time, you will be asked to choose a race. Each one is special in its own way. On this page you will choose your Empire flag color, this will be the color flag that is on all of your planets to know that they are yours. 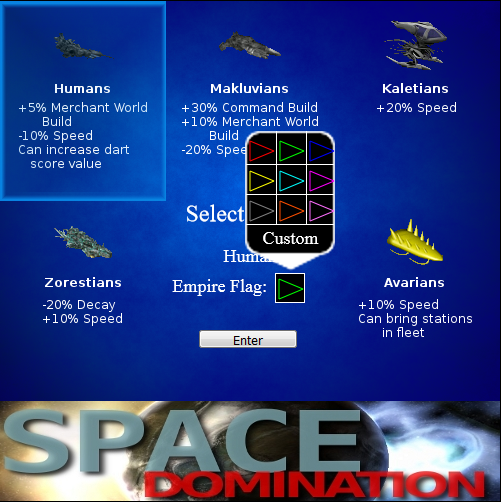 Opposing players will have the color they choose to differentiate who owns a planet.